America needs more housing. One estimate suggests an additional 4.6 million apartments are needed by 2030 to meet demand. A report from Harvard says homeowner households will grow by 8.9 million between 2015-2025 if homeownership rates stabilize; if the downward trend of homeownership continues, it’ll only grow by 4.9 million, but the remaining households will fuel a total rental population household increase of 8.7 million. The status quo does not augur well for providing housing to these new households. Our current inventory is already stretched thin, with the national vacancy rate at 7.5% for rentals and 1.6% for homeowners (many of these numbers skew much lower in urban settings). Low inventory and tight credit have driven prices up year after year for both rented and purchased homes. And there’s little indication the situation will improve. Meeting the apartment target requires an additional 325,000 units coming online each year, yet we’ve only been averaging 244,000 for the last four years (this is at a time when multifamily construction has been consistently growing). And concerning new housing for home-owning households, Harvard says that overall “housing completions in the past 10 years [in 2016] totaled just 9.0 million units—more than 4.0 million units less than in the next-worst 10-year period going back to the late 1970s.” Few of these figures will surprise anyone in the business of housing Americans. Every day, we contend with this conundrum: while there is increased consumer demand, there are also ever-increasing land, labor, supply, and financing costs, making it difficult to put anything to market with acceptable margins (single-family homebuilders reported a mere 6.4% net profit margin in 2014). As I’ve written in the past, there is a dire need for innovation in the housing industry. We need to create new models and approaches if we are to avert a deepening of the crisis, much less achieve market health. While I won’t suggest there is a one-size-fits-all solution, I have created a systems-based approach to transforming the housing industry that I call Living 3.0. It is an approach that leads to housing that is both accessible to the market and profitable for the builder/developer. It is an approach focused on providing the right housing for the times, using data to design around how people live in the 21st century. It is an approach that understands that getting housing built requires the participation of numerous financial and regulatory entities. In this post, I will cover the five core tenets of Living 3.0 in the areas of design, construction, and regulation that I believe, if implemented, could go a long way towards solving the housing crisis. Between 2004 and 2015, completions of smaller single-family homes (under 1,800 square feet) fell from nearly 500,000 units to only 136,000. Similarly, the number of townhouses started in 2016 (98,000) was less than half the number started in 2005. This dearth of accessible homes has exacerbated the affordability crisis, which, according to one source affects every single county in the U.S.
One solution is developing compact, highly adaptable housing units that can be mass produced and adapted to various development typologies. URBANEER is experimenting with a building system like this. Using a 16x32 foot (512 square feet) core module, our system could be configured as a standalone unit or combined with one or more other modules as a detached single-family home; or modules can be stacked as townhouses. 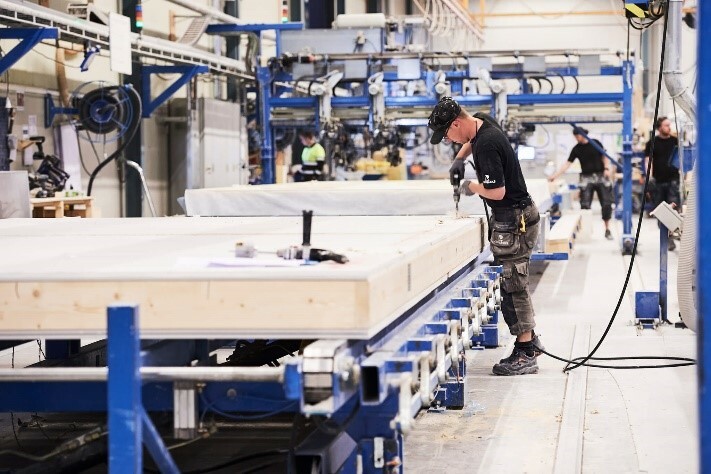 The module would arrive on-site as a pre-engineered bill of materials that includes structural components and pre-cut lumber to reduce labor and construction waste (not too dissimilar to the Sears homes of the early 20th century). Utility and appliances would be available to integrate both energy efficiency and renewable energy systems into the package. Efficiency is further gained by staging materials and delivering the kit to the site in a container, with materials being removed as needed during construction. The module size, which is able to fit on a trailer, also lends itself to offsite construction (more on that in a minute). 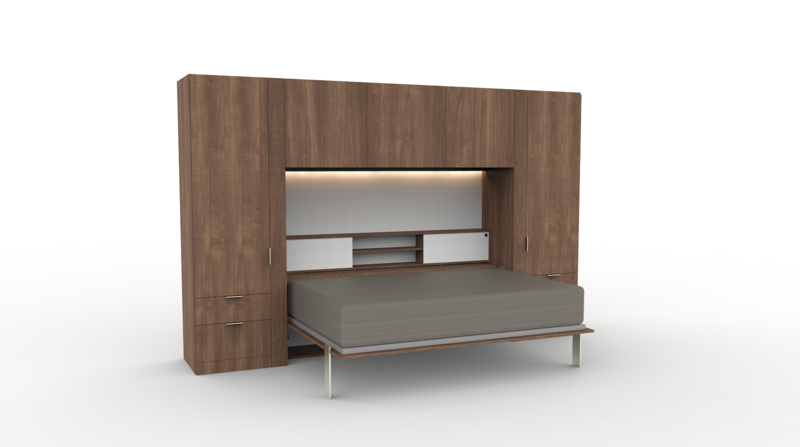 The open, compact design is based on research that suggests roughly 85% of our waking hours are spent in and around the kitchen area. In most configurations, the core space, which contains a kitchen and living space (but not formal living and dining spaces) easily supports a range of activities for both an average size family as well as single occupants. It is compact and configurable for multi-mode use, allowing it to live larger while reducing construction and operating costs. The addition of built-in storage and other furniture further increases usable functionality without a corresponding increase in floor area. As my regular readers know, I’m a huge fan of the Chicago-style bungalow, and I used it as an inspiration for the URBANEER bungalow where I live with my wife. The design of the Chicago bungalow was innovative because it was built around the most cutting edge technology of the early 20th century. For example, the bungalows could be smaller than the Victorians that preceded them because cooking ranges, ovens, and refrigerators eliminated the need for detached kitchens. Today’s homes have technology overlaid onto their infrastructure: energy meters are spliced into a home’s transformer; cameras are placed around kids rooms; Alexa is perched on a kitchen counter. Energy efficiency: 66% of smart thermostat users report reduced energy costs, but this is just the start. With the addition of sensors throughout a home, coupled with smart data, rooms could be taken offline when not in use, further dramatically reducing energy needs. Some have even speculated how technology like Alexa can balance out electric distribution grids, affecting power supply as well as demand. Safety: Sensors and cameras throughout a home can address a number of safety issues ranging from monitoring children, ensuring care for the elderly, and theft protection. Reduced spatial and FFE costs: Technology is changing the way we use homes. For example, home delivery food service sales are projected to increase 12% annually over the next five years, with the market growing from $43 billion today to $76 billion in 2022. Homebuilders could build smaller, less expensive kitchens to match consumer needs and behavior. The result is a new breed of home that offers more convenience, safety, and efficiency than today’s home. Not far behind technological integration is applying life cycle analysis to housing design and operations. The way housing in America is developed, designed, and marketed is too often focused on visible features. A survey by the Shelton Group found that if consumers were given $10,000 to make home improvements, most would choose aesthetic improvements like kitchen and bathroom remodels over things like high-efficiency windows and solar panels; these latter features could save tens of thousands of dollars over the life cycle of a home, not to mention reduce the home’s environmental footprint. In the commercial real estate industry, buildings are routinely subjected to life cycle analysis. A company must analyze not only upfront building construction costs, but the costs of every phase of a building’s life, from design to operating costs to renovations and other improvements to demolition. These costs are used to assess the building’s operating expense ratio (OER), which is the amount of income it produces relative to its overall lifetime costs. Whether it’s including features to improve energy efficiency or integrating technology that improves a home’s user experience, Living 3.0 evaluates the performance of a home over its lifetime, not merely its sales cycle. One of the largest barriers to meeting housing demand rests in our hands...literally. Unlike every other mass-market product, the majority of American homes are constructed by hand. The reason for this, explains The Economist, is that labor can be hired and fired depending on market shifts. Conversely, the things that will relieve dependence on dwindling labor pools and drive costs down in the long run--things like large industrial facilities with advanced machinery--have high upfront costs and ongoing overhead. If we are to increase building efficiency, it’s vitally important we stop building housing like it was the 19th century. In Japan, 15% of homes that came online last year were factory built. Similarly, Sweden is a hotbed of industrial housing innovation. Homebuilder Lindbäcks has machinery that can crank out a custom, fully-framed and insulated wall in 17 minutes (with or without windows). The advantages to pre-engineering and prefabrication are obvious. Rather than reinventing the wheel on each new project, engineering can be standardized and improved with time, cutting down on the costly issues (plumbing, electrical, structural, etc.) that invariably befall bespoke projects. Most importantly, when the housing is mass-assembled, it reduces dependence on America’s limited, costly, and inefficient labor pool. While URBANEER is eagerly developing our own module system, we are also working with companies like Kasita, FullStack Modular, and others who are bringing this industrial approach to homebuilding. Together, we can create housing products with the efficiency, scalability, speed, and precision that will rival any other advanced manufacturing industry. 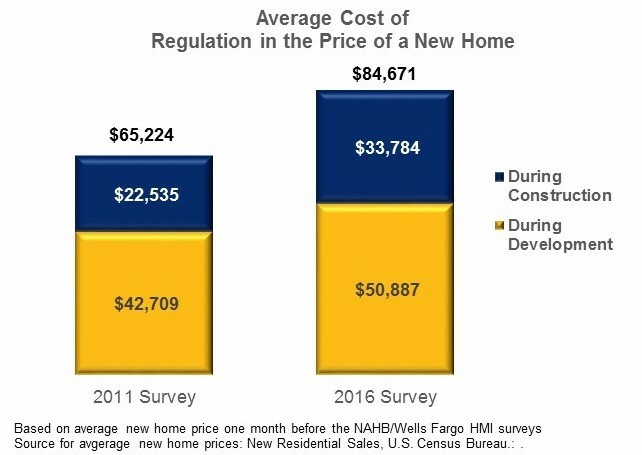 NAHB estimates that costs associated with government regulation account for 24.3% of the final price of a new single-family in the US. In California, zoning fees and building code requirements tag $75,000 to the average new home build. If these governmental fees weren’t bad enough, financing has become a minefield for developers and consumers alike. Following the housing bust of 2007-08, banks universally increased lending restrictions, affecting supply and demand growth. There is growing interest in alternatives to institutional lenders such as crowdfunding and atomized cryptocurrency-based investments. These atomized capital structures lack some of the underwriting issues of institutional capital, which put a small group of investors on the line for a development’s success. This distributed risk is more conducive to back innovative projects. But many restrictions are still in place that prevents the growth of these tools. These restrictions are why anyone with an eTrade account can purchase a stock in a risky tech IPO, but only an SEC-accredited investor with $1 million-plus net worth can invest in a real estate development. The risks of not innovating housing policy and financing are enormous: one study estimates that the urban housing crunch alone costs the U.S. economy $1.6 trillion a year in lost wages and productivity. Vital to transforming housing is developing private-public partnerships and lobbying efforts to change restrictive or out-of-date policies affecting housing zoning and financing. There are glimmers of hope in this domain. The city of Seattle is upzoning single-family areas for developers who build affordable, family friendly multifamily units. California recently passed Senate Bill 35 that streamlines approval processes in high-need areas. California has also loosened restrictions on building accessory dwelling units on existing single-family housing lots, increasing suburban density and accommodating non-nuclear family household formations. 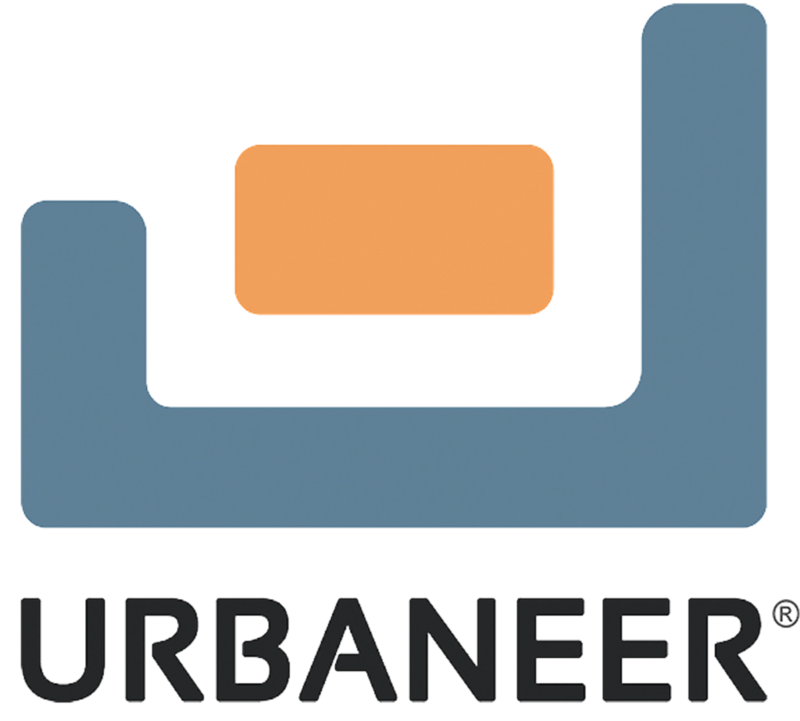 For our part, URBANEER is engaging governmental organizations in our home state of Michigan for conducting pilot programs testing out some of our ideas. This is by no means an exhaustive assessment of the improvements needed to fix the problems that beset the housing industry, but we must start somewhere. If you have more ideas on how we can fix housing in America, please add them to the comments section below. And if you work in the private or public sector and are interested in hearing more about URBANEER’s own Living 3.0 initiatives, drop us a line. © 2018 Urbaneer Inc. All rights reserved.